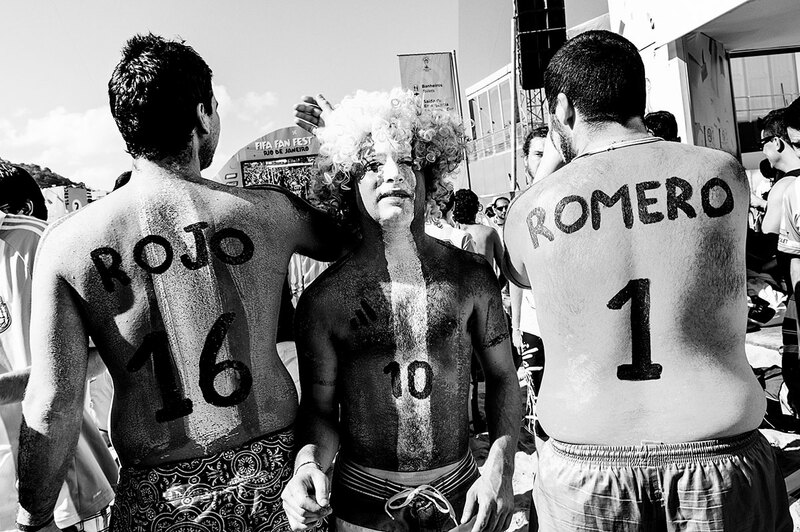 Rio de Janeiro, 2014… 30 degrees centigrade, high levels of humidity, 12 football cities spread across Brazil from North to South….a challenge for all teams, visitors and fans. 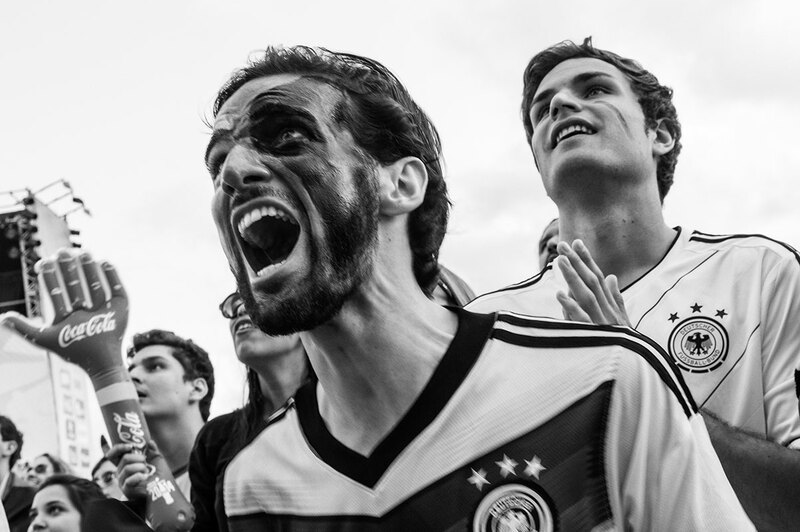 But Brazil did it and Germany won the final against Argentina. 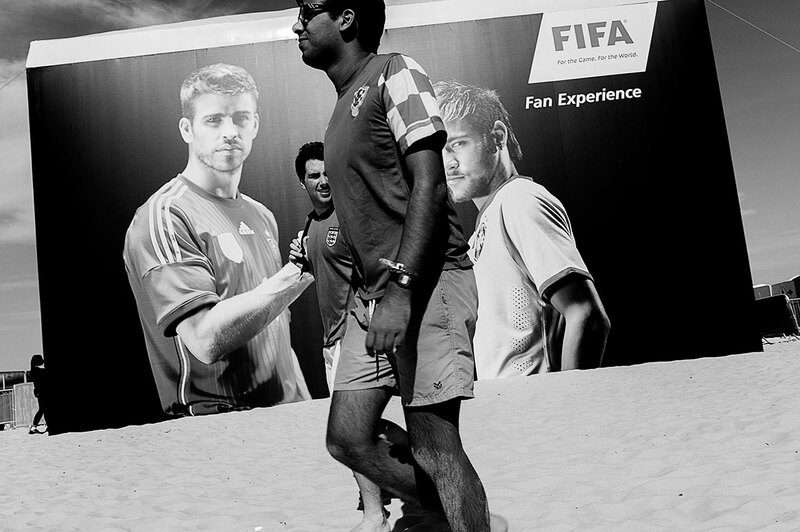 But this was not the only challenge. 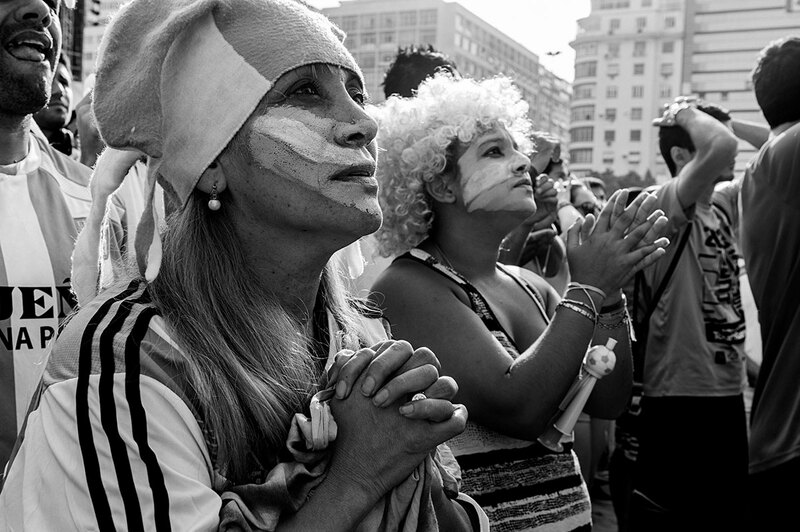 In this special World Cup Year, Brazil had to face that football can´t be everything. 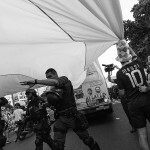 Anti-World Cup protests took place and more are to be expected, claiming in general more money to be spent on social projects. 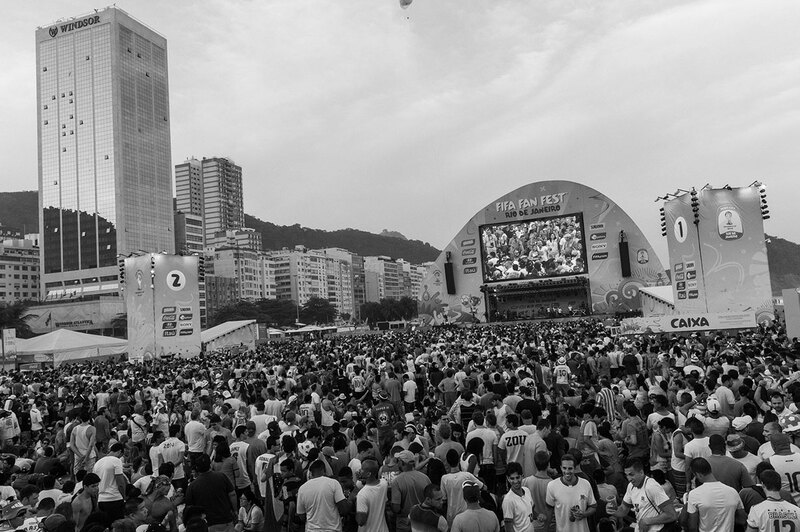 Beside this, football fans from around the world enjoyed this wonderful city, claiming to be the most beautiful on earth. 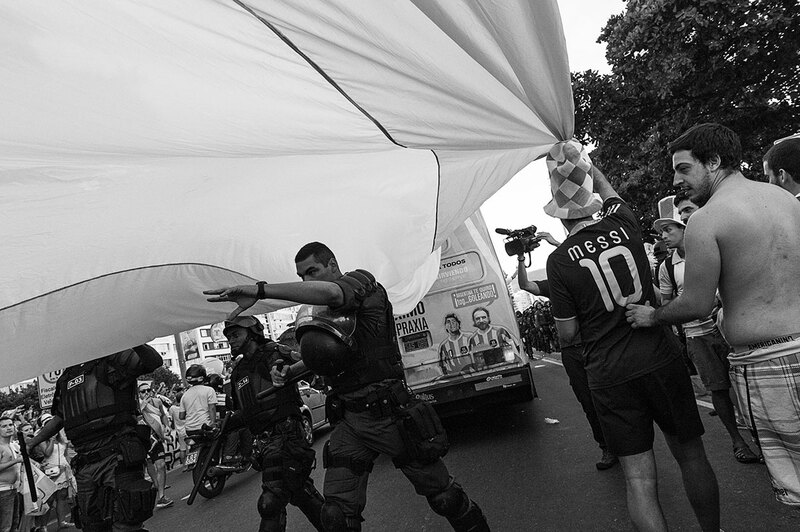 Fans also occupied the streets of all main football cities and started to show what football really means “Outside” the greens and stadiums. 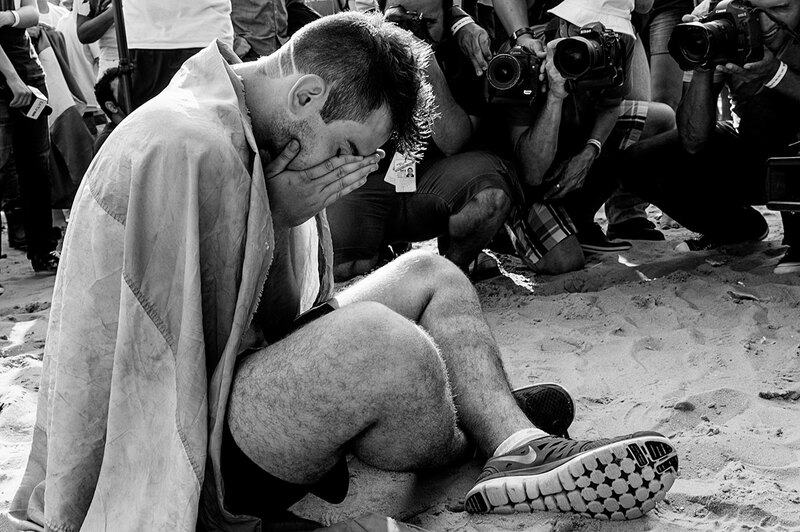 It is more than a passion…it is about fanaticism, feelings, pains, phantasies, dreams, emotions, religions, recognition, believing, blood in veins….involving families, churches, politics…Some of them would even give their life it! 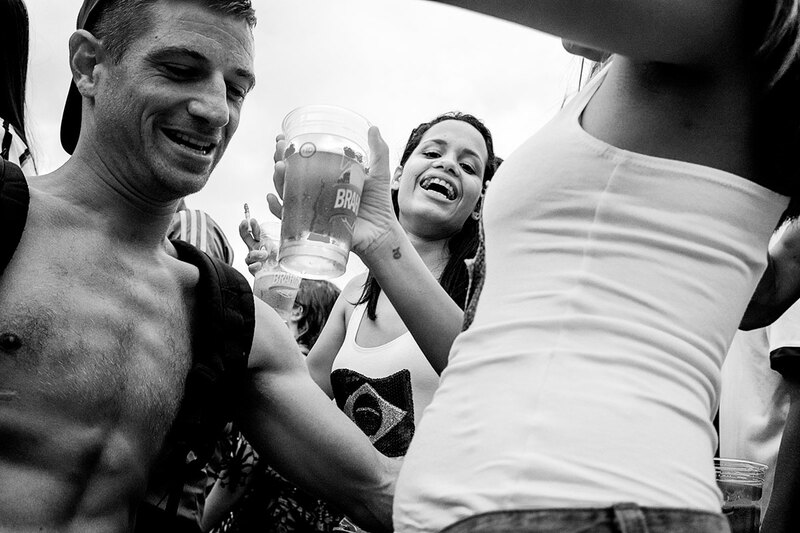 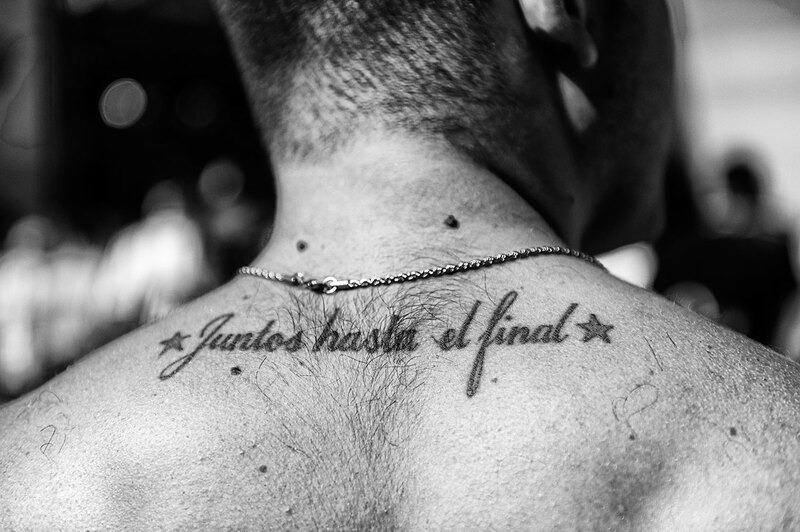 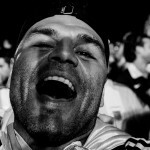 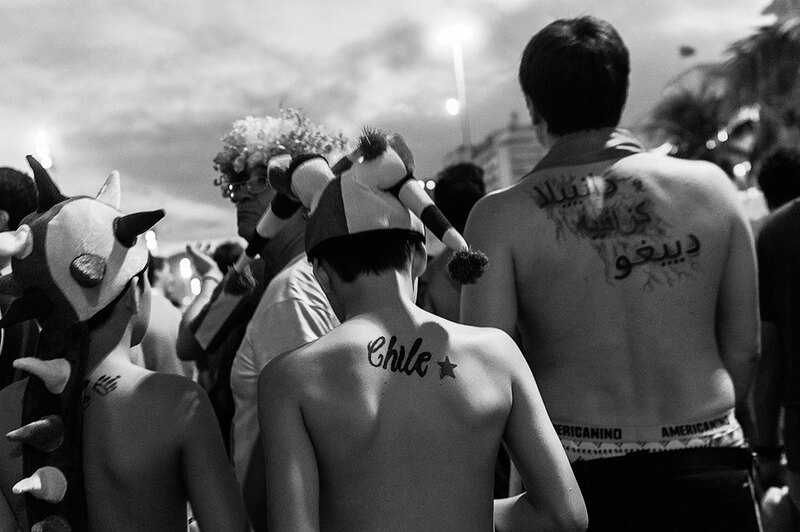 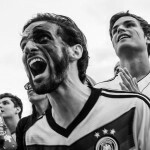 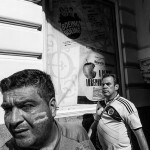 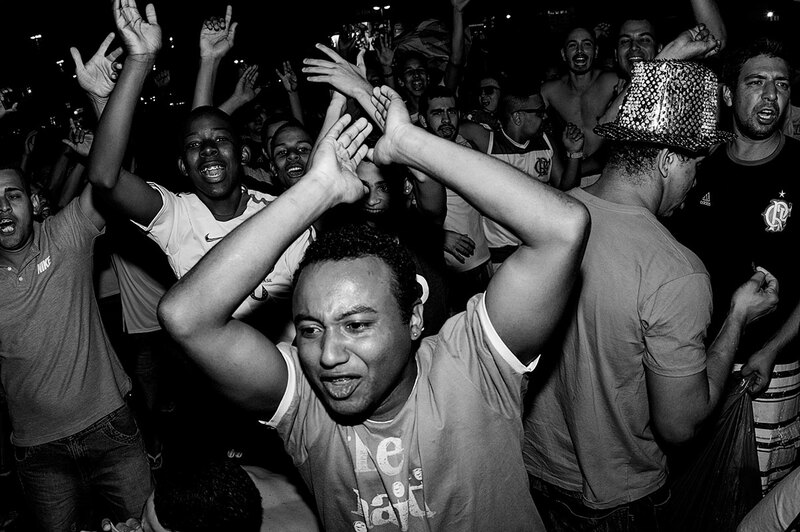 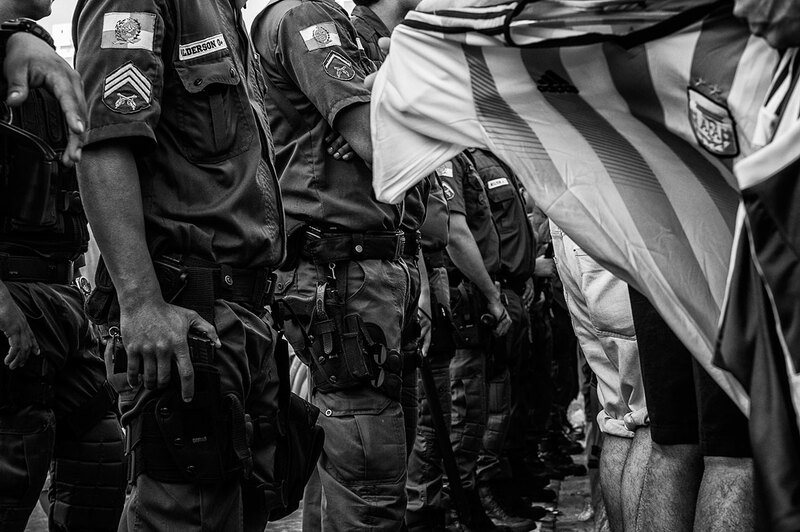 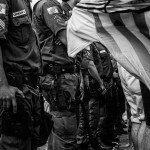 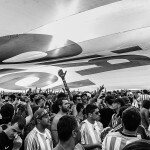 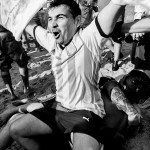 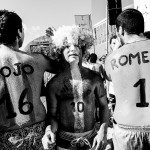 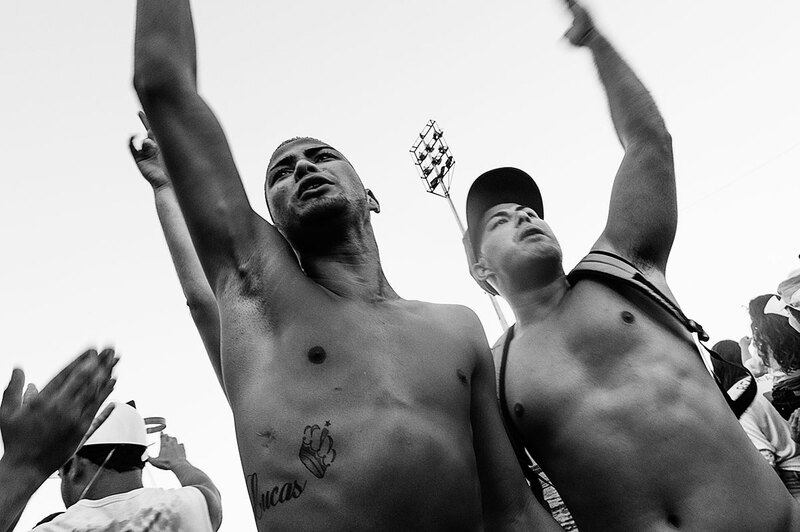 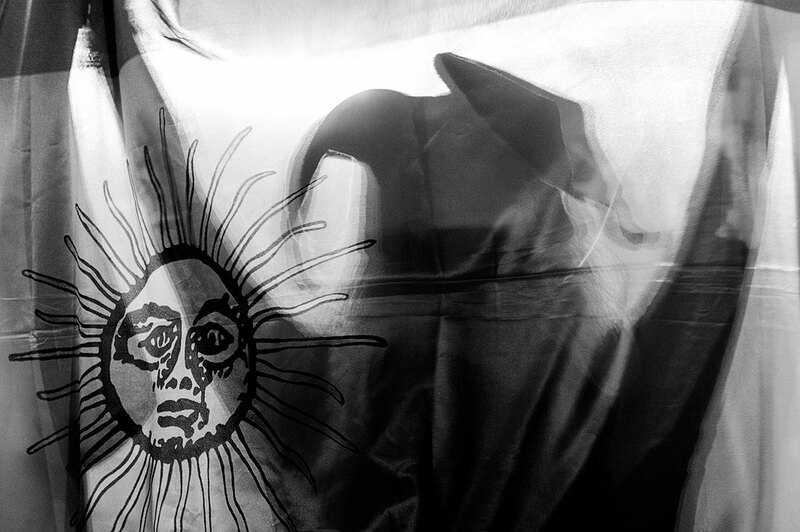 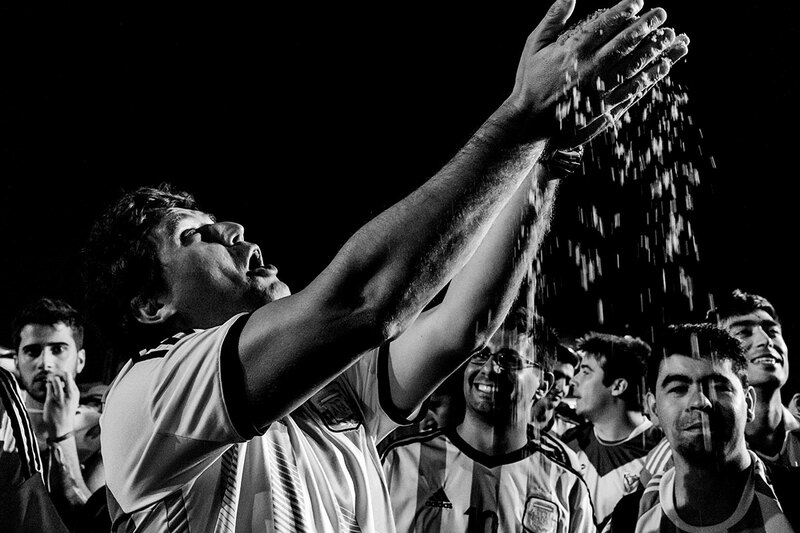 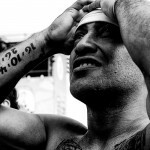 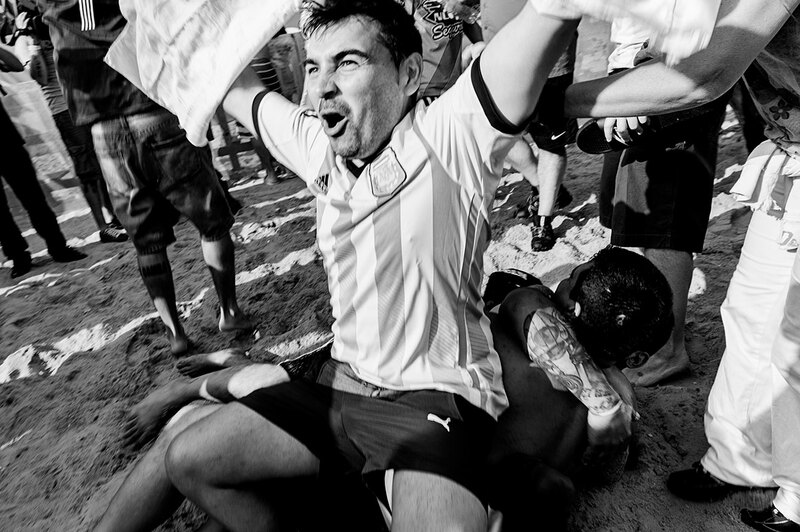 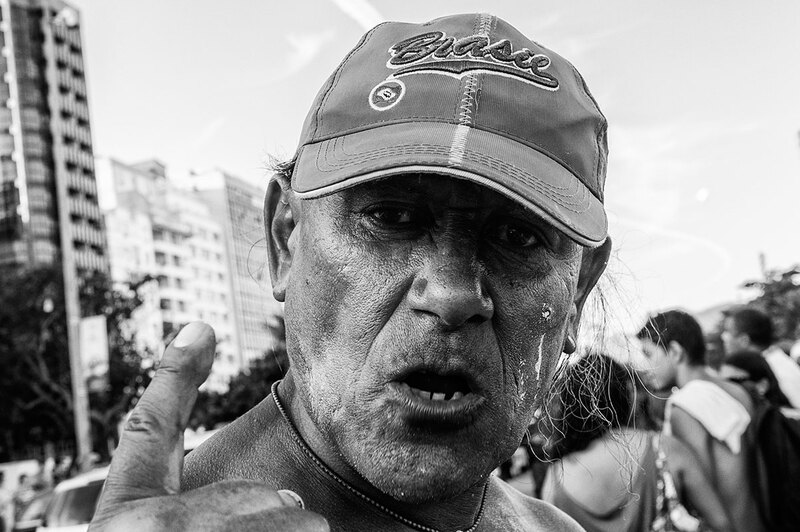 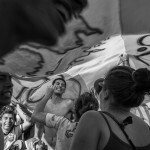 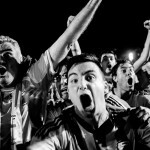 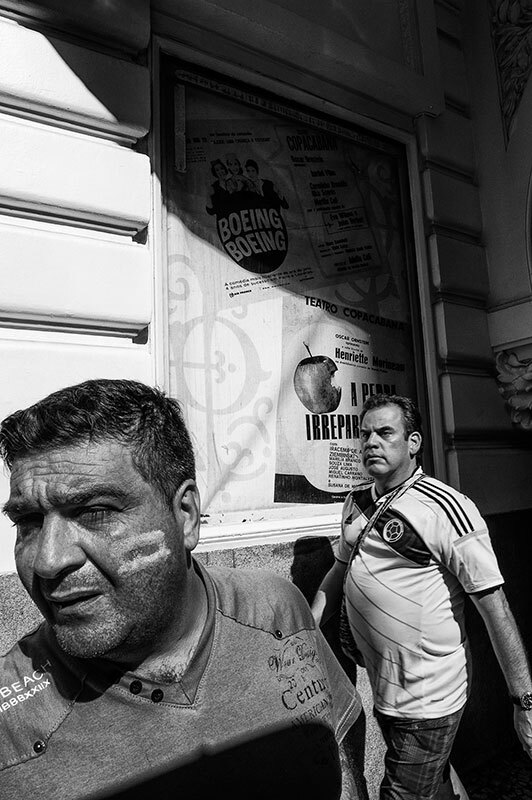 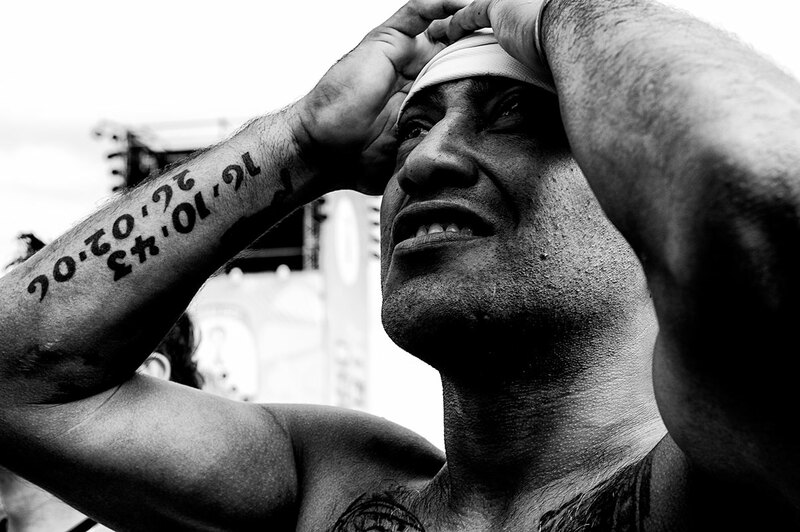 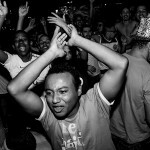 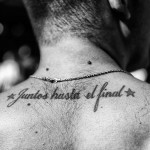 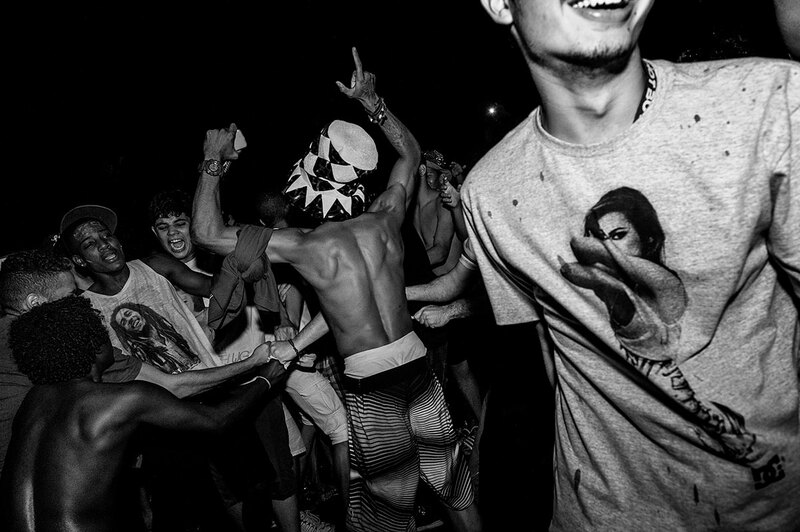 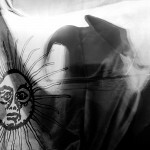 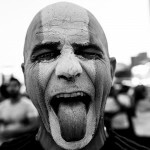 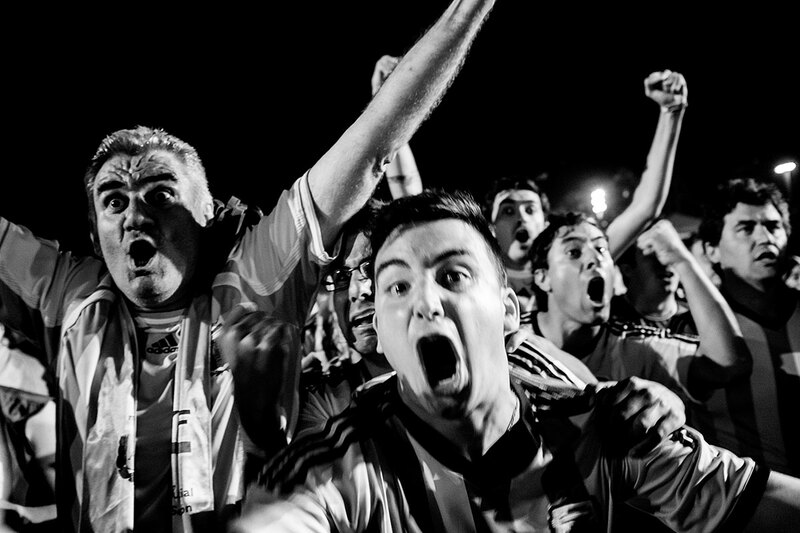 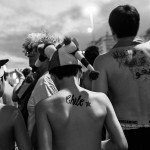 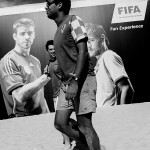 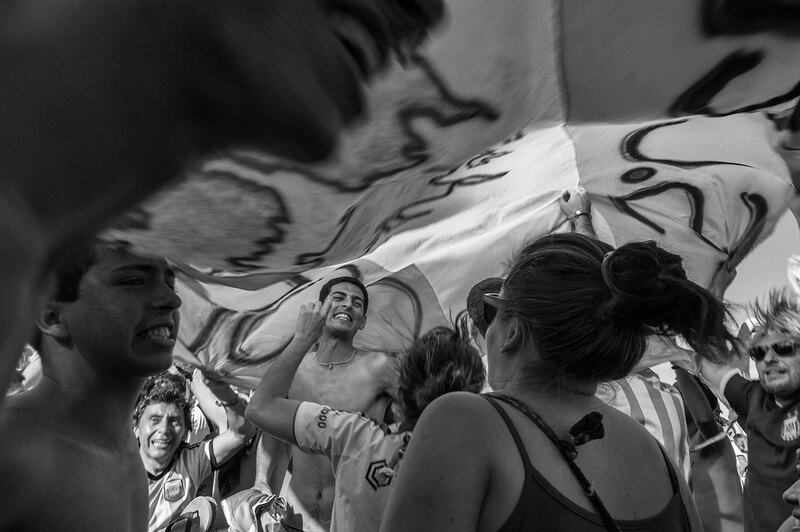 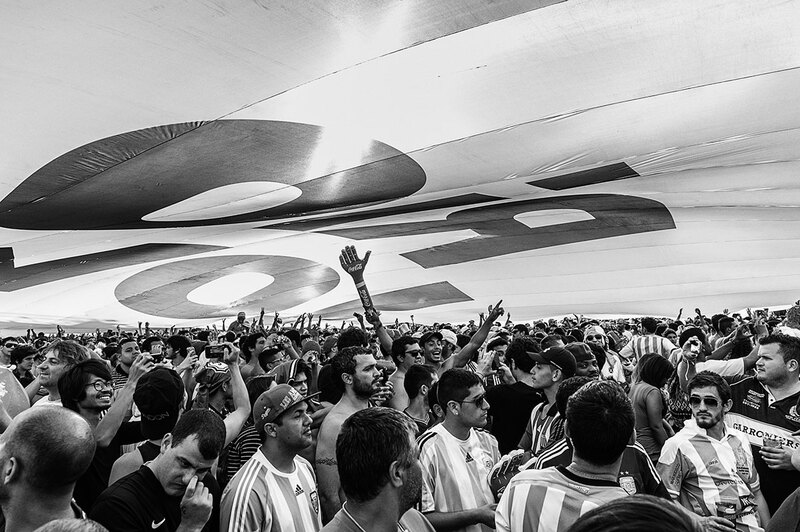 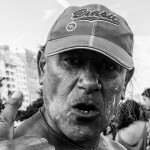 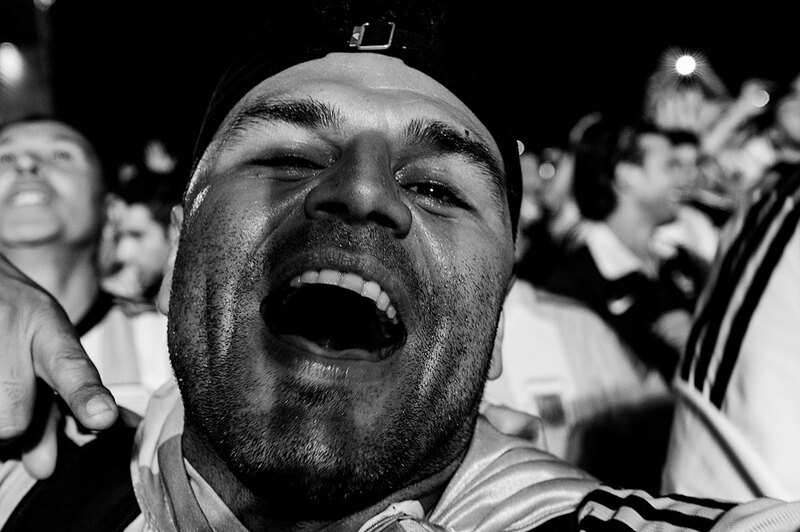 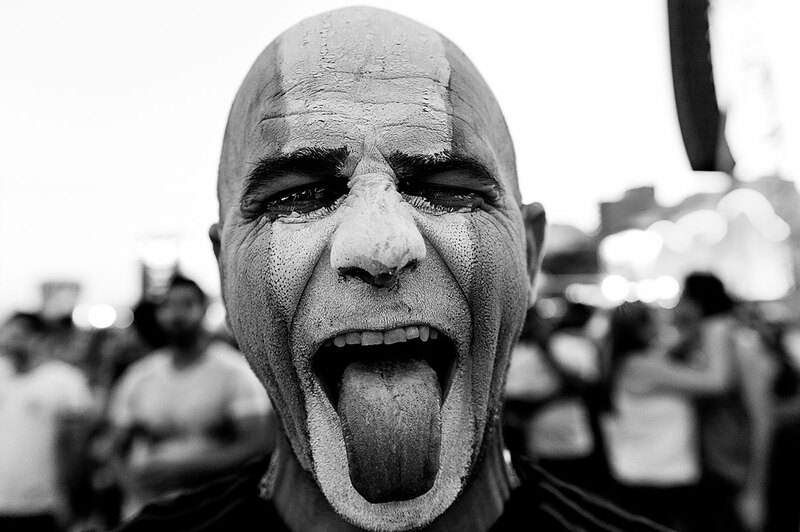 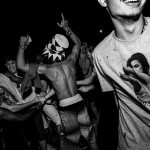 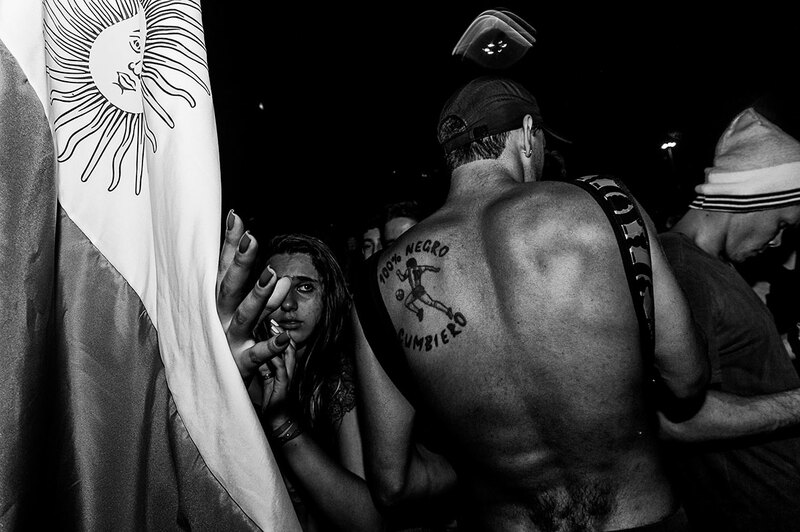 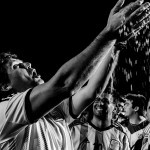 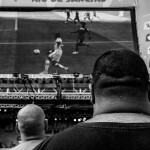 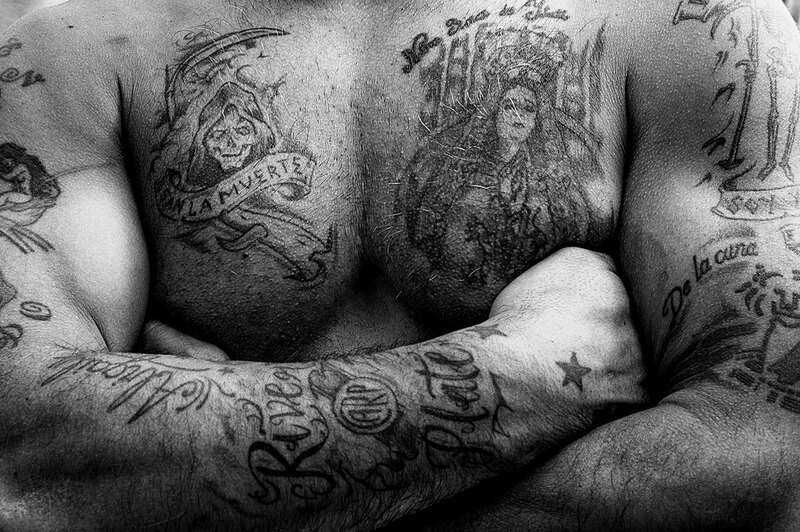 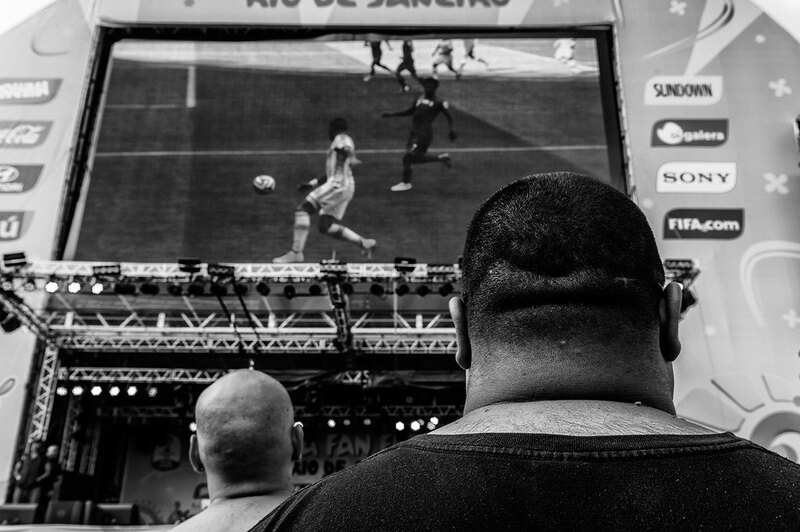 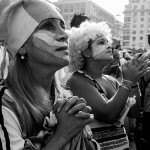 This essay is about the tension and highly emotional World Cup event in Brazil.